Have you seen the new EVO? No LED lights on sedan IIRC. the sedan is fugly ! the grill and tail lights on both the hatch and sedan are very ugly ! i dunno, i hated it when i first saw it.... but like a lot of ppl, it's starting to grow on me. i really could do with out the grill and tails, but hell, that's what aftermarket is for right? can't wait to see what the STI will look like, maybe i'll end up trading in my 06. haha! At some angles, the sedan has a Bimmer-like look specially with that mid-crease that runs along the side. I definitely like the wagon more than the sedan. why are you selling your wagon? as far as the looks and performance goes. 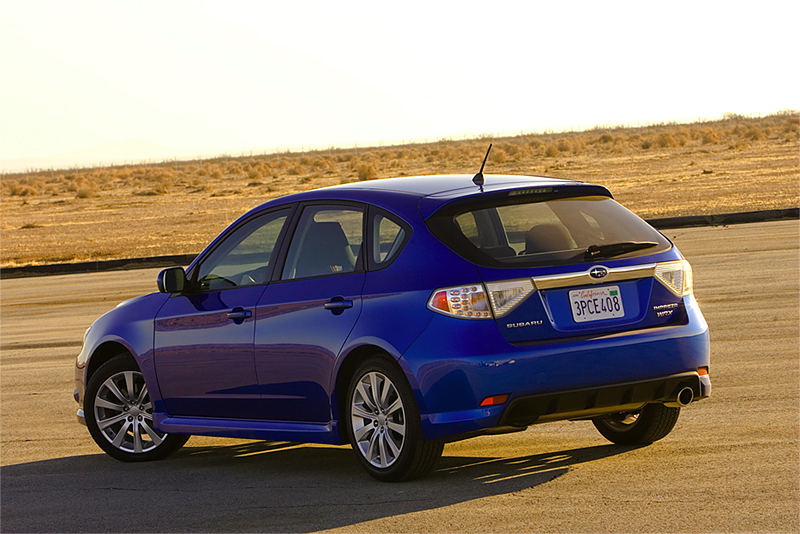 But symantics aside, how is this not a "wagon"
and this not a "hatch"
Don't get me wrong, I love the wagons. I'm just trying to understand what's going on. maybe wagons and hatches are distinguish by the size of the 3rd side windows on each side. if the vehicle doesn't have the 3rd side windows, it's a hatch automatically. Furthermore, the trunk door must be attached to the rear windshield to qualify as both the 5 door hatch or a wagon. On this website (http://grohol.com/mazda/photos2.htm), they identified the following vehicle as a hatch. wagon should have a lengthier look than a hatch. A legacy wagon should never be a hatch. So... where will the STi come in? The hatch, sedan or both? looks like a civic saab cross. wish it had less of a teardrop front, somthing more aggrisive. the headlights should be seperated more, each closer to the fenders. but it deffinatly sounds like an awsome wrx. Rumor has the STi being hatch only, in all markets.